Switzerland will vote Sunday on a proposed overhaul of the country's banking system that has been described as "dangerous" and even "suicidal" by its critics. The controversial "sovereign money" referendum would prohibit banks from lending more money than they have in deposits. It would also make the country's central bank the only source of new money. It's a sharp deviation from standard banking systems, under which banks "create" money by issuing new loans. Supporters argue that the unprecedented changes would enhance the integrity of Swiss financial markets, and protect the tiny nation from boom and bust cycles. The initiative was conceived as a response to the global financial crisis a decade ago. The crisis, which had its roots in irresponsible lending by commercial banks, led central banks to create trillions of dollars of new money to prop up the economy. The combination has undermined confidence in the banking system and helped fuel the rise of cryptocurrencies. A small group of economists and other supporters have pushed for the vote on "sovereign money," gathering the 100,000 signatures required for the proposal to land on the nationwide ballot. Its opponents warn the proposal could have dire consequences for the economy. The initiative -- which has never been tried anywhere in the world -- has been slammed by Switzerland's central bank, government and parliament, which argue that lending restrictions would choke off lending to companies and households. "I won't get into details, as the large banks in this country are being used as the rationale for the initiative, but I don't expect the Swiss people to be suicidal and approve it," UBS (UBS) CEO Sergio Ermotti said during a recent earnings call. According to the central bank, the introduction of "sovereign money" would not ease credit and asset bubbles because banks could still underestimate risk, leaving them exposed to future crises. Thomas Jordan, the central bank's chairman, warned in May that the "sovereign money" initiative was "an unnecessary and dangerous experiment, which would inflict great damage on our economy." 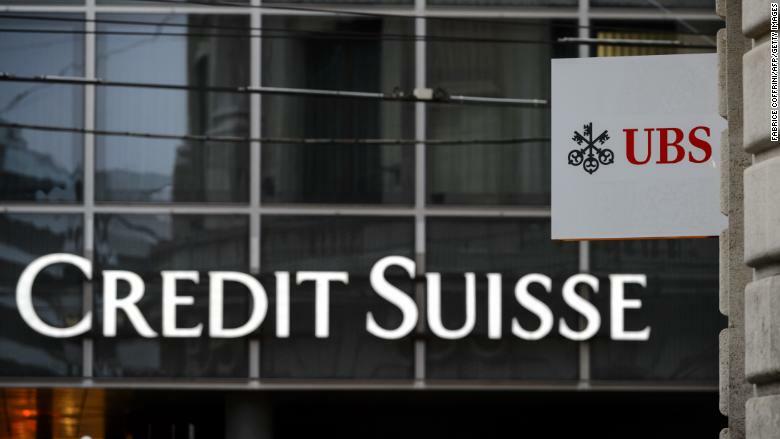 S&P Global Ratings has said that a yes vote could "effect the creditworthiness of Swiss banks." Opinion polls suggest the measure will be voted down. The latest survey by public broadcaster SRF showed that 54% of respondents were against the change, up from 49% at the start of May. It's not the first time that a radical referendum has been put to Swiss voters. Two years ago, the country voted down a proposal that called for a generous universal income. The Swiss will also vote on changes to gambling laws on Sunday. The country has held more than 20 referendums over the past three years.